Please know that this is just one documentation of one person's (hi! me!) experience. If you're pregnant and aren't doing the same style of workouts THAT IS A OKAY, YO. There is no one way to train. It's all about finding movement that you love, that keeps you sane and most importantly helps you train for that little thing called BIRTH. 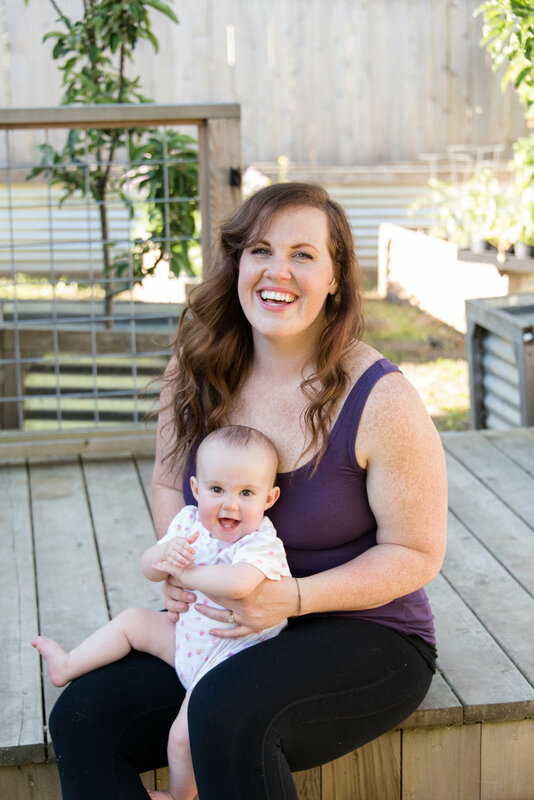 I will point out movements along the way that I swap out and why they may not be ideal for pregnancy or that first year postpartum. I also want to point out that if you're pregnant and you don't have an exercise or fitness routine, it's not too late! I hear all too often that women believe they need to stop exercising or can't try new things while pregnant. FAKE NEWS. Birth is an extremely athletic event, no matter how you deliver, you need to train for it! That said-- be SMART about your training. Sure you can try CrossFit, but it's not the time to enter into competitions or burpee races. Want to give Zumba a go? Alright! Dance your heart out! Just be wary of your pelvic floor when jumping about. Love pilates and yoga? Okay! Avoid the strict, isolated core movements and stick to the banded joint stabilizations and deep squat holds. If something is in question, just ask yourself: Will this make me stronger/more ready for birth? When a bump is present it can impair your bar path and cause you compensate with other muscle groups to get that bar in the air and change the timing of your pull. If you love lifting, you have to think long-term here. Switch to dumbbells or kettlebells once your bar path is impacted. It will make your return to lifting 100x easier, as you won't have to retrain the movement. The first six movements on this list isolate core groups rather than training the trunk in a unit, which puts a lot of strain on the linea alba and can exacerbate diastases recti. It's normal to have ab separation, but these movements can make recovery that much more difficult. This doesn't mean you ignore core work! Check out BIRTHFIT Functional Progressions for full core stabilization workouts you can do both during pregnancy and postpartum. Looking for more guidance during your prenatal and postpartum workouts? Come say hi over at BIRTHFIT NE Portland-- we've got classes and workshops scheduled all year! I'll also be offering online training (coming soon!) both personalized or group programming :) Stay tuned for that this summer!